How can I install a stepping stone pathway? 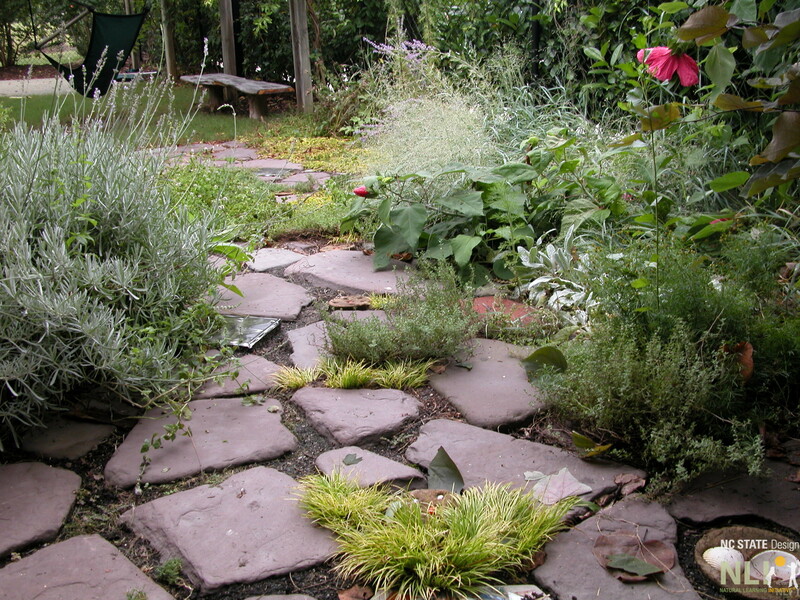 Stepping stones are an effective and durable material used for creating pathways. They can be installed linearly to create secondary pathways or used in mass to create patios or sensory gardens. Select stones of a durable and, if possible, local stone. They should be fairly smooth and flat and a minimum of 2 inches thick. Based on the plan, lay out the stones along desired path. Make sure they are closely spaced (12″-18″ on center) so that a child can easily step from one to the next. Use a garden trowel or shovel to cut around each stone. Move the stone. Excavate as deep as the stone is thick, plus one inch. Level and compact the existing earth. Spread and compact 1” of sand to create a stable base. Place the stone back into place. It should be flush with the surrounding lawn or mulch. Fill between existing soil and stepping stone with sand and compact. Stepping stone sensory garden in an infant/toddler outdoor learning environment at Bright Horizons Family Solutions CDC. 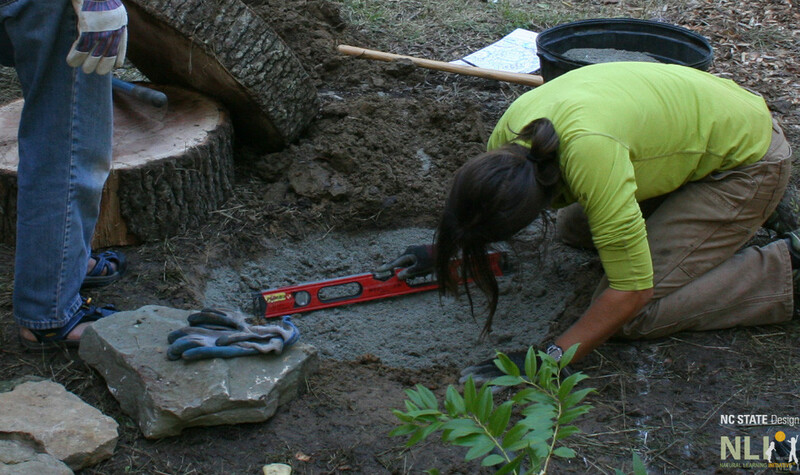 Katherine Gill checks to make sure the sand is level before placing the stepping stone at the NC Botanical Garden. A newly installed stepping stone pathway at First Baptist Child Development Center, Asheville, NC. 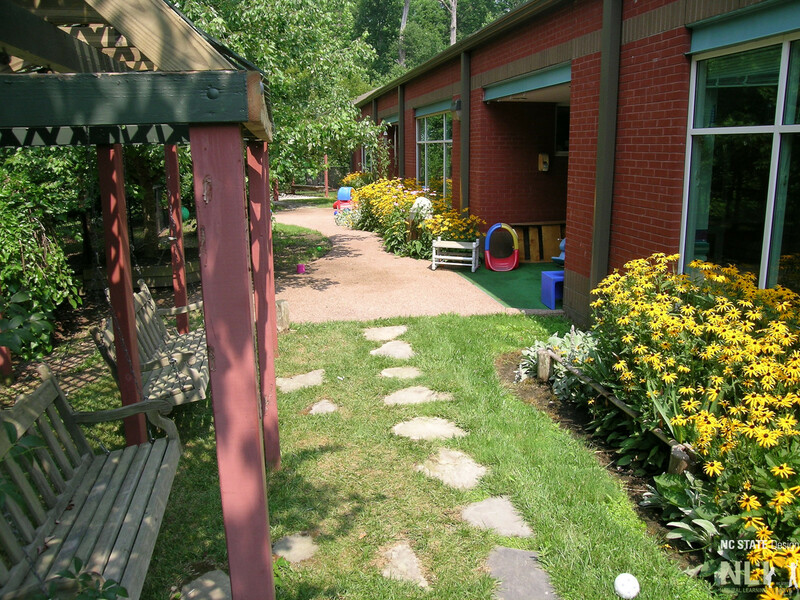 A stepping stone pathway in an infant outdoor learning environment at Bright Horizons Family Solutions CDC.